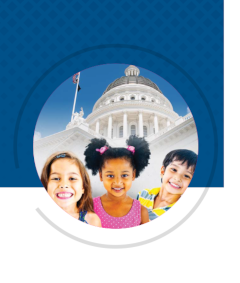 Governor Newsom’s first Budget Proposal increases funding for education in California. 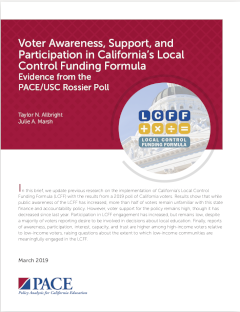 There are areas of substantive overlap in the Budget Proposal and research findings from the Getting Down to Facts II (GDTFII) research project, released in September 2018, which built an evidence base on the current status of California education and implications for paths forward. 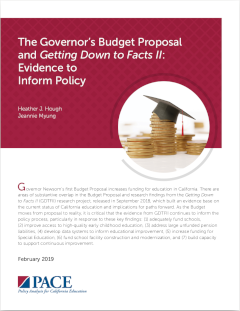 As the Budget moves from proposal to reality, it is critical that the evidence from GDTFII continues to inform the policy process. 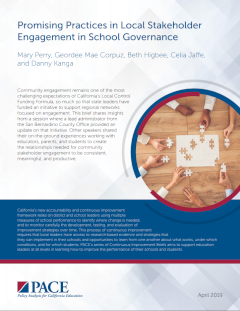 Addressing student absenteeism continues to permeate education policy and practice. California and a majority of other states have incorporated “chronic absenteeism” as an accountability metric under the Every Student Succeeds Act. 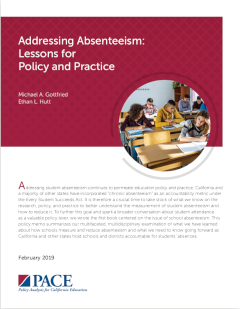 It is therefore a crucial time to take stock of what we know on the research, policy, and practice to better understand the measurement of student absenteeism and how to reduce it. 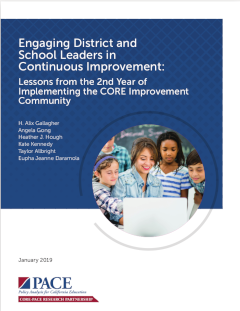 To further this goal and spark a broader conversation about student attendance as a valuable policy lever, we wrote the first book centered on the issue of school absenteeism. 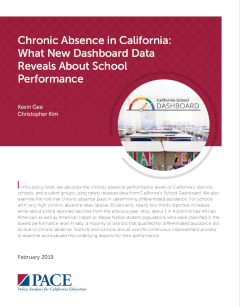 In this policy brief, we describe the chronic absence performance levels of California’s districts, schools, and student groups using newly released data from California’s School Dashboard. 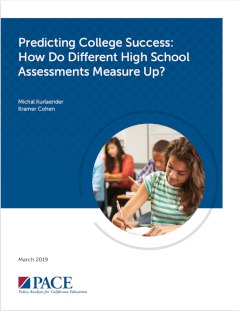 We also examine the role that chronic absence plays in determining differentiated assistance. 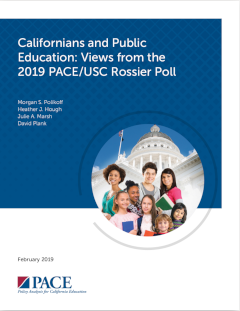 For schools with very high chronic absence rates (above 20 percent), nearly two thirds reported increases while about a third reported declines from the previous year.